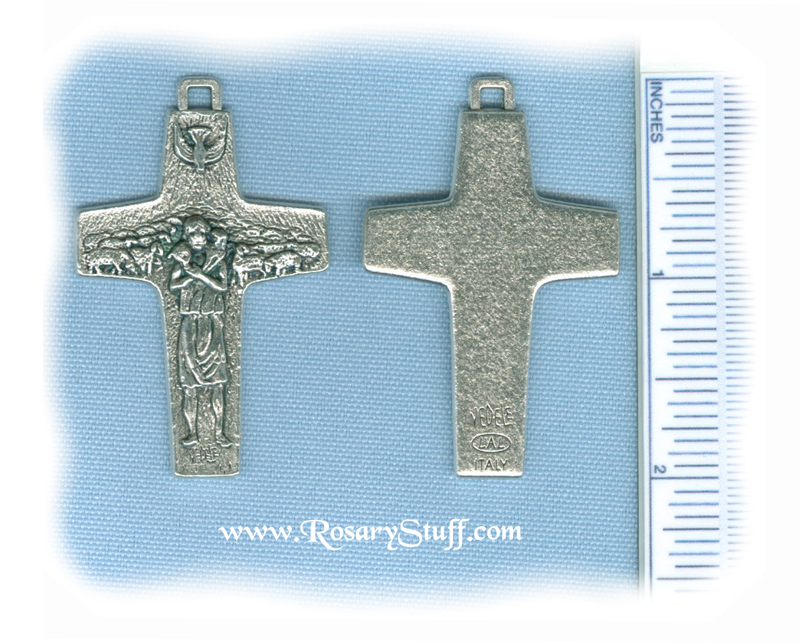 Larger Italian oxidized silver plate Official Pope Francis Antonio Vedele Cross. This cross features the "Shepherd" carrying a lost sheep over his shoulders with the rest of the flock behind. The "Shepherd" is a traditional representation for Jesus from the early years in the Church. There is also a dove above his head symbolizing the Holy Spirit. Click here to see a larger version of the details regarding this crucifix. Sized at just over 2 inches tall (including ring) and slightly over 1 1/4 inches wide. 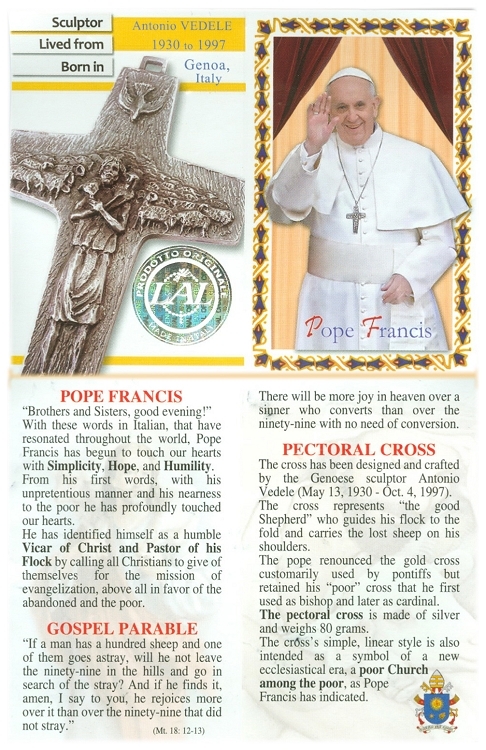 Priced per crucifix. Our Lady, Mother Mary Crucifix ~SP~ 1 3/4 in.